The teams have been announced, training camps completed, and obligatory photo shoots published. Some teams may have already started their European sorties, but this Sunday sees the return of the traditional season opener in the UK. The Perfs Pedal Road Race is back for another year – here’s a look at the route, the competitors, and the conditions. The race covers five laps of the testing Portsdown Hill circuit. After rolling out from the D Day Memorial Hall in Southwick, Hampshire, the riders will cover a total distance of 74km. 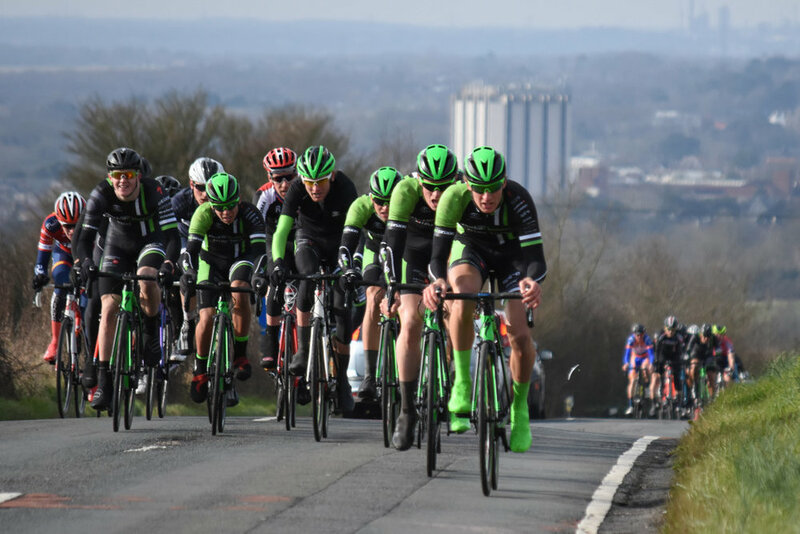 The race is substantially shorter than most, but it’s worth bearing in mind that it’s still early February – riders are reluctant to dig too deep so early in the season, especially with a tough climb up Portsdown Hill each lap. The course can be notorious for punctures if the weather is bad – last year saw Max Stedman have his race ended after less than 10 minutes, along with many others. This is a potential hazard with any race, but it is a harsh reminder that luck will always play a role in a sport with so many variables. After completing five laps, the bunch will turn of the circuit and race the final 5km to the finish line. This year’s finish is 20 meters before the line used in 2018, which places it closer to the crest of the finishing drag. While it’s not a drastic change, expect it to make a difference if the race comes down to a sprint as it did in 2018. The finish is not as significant as the likes of the Lincoln Grand Prix, but the short nature of the race means it will be full gas from the start, and this can take a toll on a small group vying for the win – a small drag is often more than enough to cause gaps at the end of a hard race, regardless of its length. The new finish line could also make it more difficult for a struggling rider to bluff his way into a good position for a flat run at the line. A small group sprint will likely be won by the freshest rider, not the savviest. Alex Paton (Canyon dhb p/b Bloors Homes) is the returning champion and will be expecting to compete for the victory. He comes with a strong six-man squad including 2018 Lincoln GP winner, Alex Richardson, and two former Junior National Champions – Jacob Vaughan and Louis Rose-Davies – all of whom will be eager to show themselves in their debut UK races for the team. If one of the Canyon riders isn’t up to the task, it’s likely the others will be ready to fill his shoes. Marcin Bialoblocki is another previous victor. He took the win in emphatic style in 2013, winning solo by almost 2:30 over his teammate. A lot has happened since then – a stint with Pro Continental outfit CCC-Sprandi-Polkowice that included a ride in the 2017 Giro d’Italia. He is a prolific winner in the UK and is the first rider to break 17 minutes for a 10-mile time trial. He’ll have support in the form of his Nopinz Latchem Race Team, but he’s proven he’s equally capable of winning alone. It’s not all sewn up though. We can expect a potential upset from the likes of Spirit Tifosi Racing Team, who have a history of coming out of the winter with good legs. Mikey Mottram of Vitus Pro Cycling has form for early season wins, having taken the 2017 Jock Wadley Memorial Race from under the noses of the larger teams, and the Wales Academy Racing team are represented by several of the riders who recently took bronze in the National Team Pursuit Championships. There’s rain forecast from Saturday evening through to Sunday morning, but it’s set to clear by the time the race kicks off at 11am. There’s a chance of showers throughout, which may leave standing water on the course. The temperature is set to hit 7 degrees, but could be tempered by the strong north westerly wind, with gusts up to 20mph – certainly enough to break up the bunch on the exposed hillsides.